Pocomail email reader is free software which can be used for viewing Pocomail inbox file content even if mail client is not installed on your PC. So download and install this easy to use independent Pocomail MBX viewer to open and read email messages stored on .mbx file. If you are using Pocomail and want to view its MBX files with our tool that time this function will work for you. It automatically detects Pocomail profile contains all files. When you added Pocomail Inbox files in this tool, it starts scanning and loading all emails. After scanning process, the tool generates a complete preview of email messages. If you have more than one .mbx files in a folder and want to open all them at once then you can use folder mode function it will load all files available on a particular folder. It is a standalone Pocomail Inbox viewer tool which does not require any other email client as well as additional programs to open Pocomail database file contents. By using this tool you can analyze your emails in several views like: Normal, Hex, Properties, Message Header, MIME, Email Hope, HTML, RTF and Attachment views. The user interface of the tool is so simple that will encourage you to use this Pocomail Database viewer tool again and again. No technical skills are required to operate the tool. Pocomail is a Windows based desktop email client that was developed by Poco System in 1999. The Pocomail is generally used for emailing process that provide well spam and attack protection by using (PocoScript) its own scripting methods. 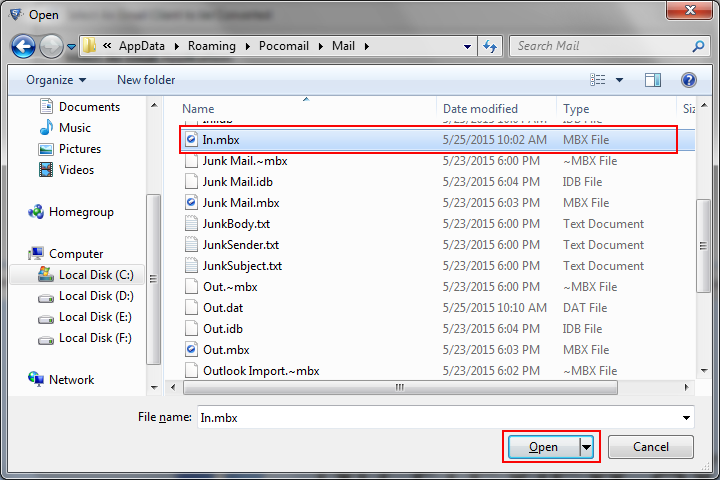 It store email messages in .mbx file and create separate file for each folder. These files can be accessed by a few other email clients but if you don't have install any email client and want to open Pocomail database then use this free Pocomail MBX Viewer software. You can also convert MBX files to PST format to use these emails in MS Outlook. But for that you have to acquire a MBOX to PST converter tool. Each mail folder (Inbox, Junk, etc.) is stored as three files one with .mbx extension and second is .idb and another is with .~mbx extension as shown in below image. Step 1: Start Pocomail MBX Viewer. Step 2: Add the MBX file. Click Open. Step 3: Different view modes are also available to preview the data. Step 4: You will be able to view the emails with attachments. Is there any limitation for the size of MBX files? The Pocomail MBX Viewer does not put any restriction regarding MBX file size . Does the tool supports Windows 10 OS? The software supports the latest Windows 10 version . Is it possible to add multiple MBX files at once? Yes, You can easily add multiple MBX files at a time to the software application . 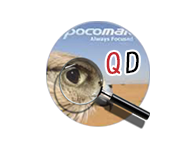 Pocomail MBX file reader is the eminent utility to view MBX files on Windows 10. There is not any risk of missing of data, entire data was shown by the software in no time. Thanks a lot.